Burlington's Future Fit isn't a gym in the traditional sense. It more closely resembles my mental picture of Elon Musk's home fitness studio: a sleek concrete box echoing with the insistently chill beat of electro-pop, outfitted with equipment that seems to have been designed by aliens to study human weakness. If you're not familiar with adaptive resistance training, oxygen therapy, whole-body vibration or infrared saunas, all of which are on offer at Future Fit's Pine Street quarters, you're probably not alone. According to the company's website, a session incorporating the full menu of Future Fit's services can help you lose weight, boost your immunity, flush toxins, stimulate your lymphatic system, build bone density, balance your hormones, reduce inflammation, speed up your metabolism and mitigate the effects of aging, along with a litany of other chronic problems. The only health benefit Future Fit does not explicitly promise is immortality. When I arrived at the club for my workout last Thursday morning, I was primed for something between a high-tech spa day and a clinical trial evaluating my suitability to become an astronaut. I was almost startled to walk in and meet Rachel Rondeau, an actual human being who grew up in West Windsor. She founded Future Fit along with 10th-generation Vermonter Kyle Burroughs, CEO of Burlington-based Burroughs Chocolate and a local skateboarding celebrity. They wanted to create an antidote to the indifference of the modern gym, where people suffer the indignity of working out on equipment that doesn't even remember their name. "We were both really into wellness" — Rondeau and Burroughs are both certified nutritional therapists — "and we'd been learning about these cool advances in wellness tech from the influencers in our field," Rondeau said, referring to social media personalities who are often paid to endorse products while looking impossibly cool. "We envisioned this place as sort of a cross between a gym, a doctor's office and a spa." If Rondeau's extremely hands-on approach sounds like overkill, it isn't. For reasons that will soon become clear, no one should attempt to use any of Future Fit's equipment unsupervised, except maybe the vibration plate. My workout started with a 15-minute warm-up on the Bulletproof Vibe Plate, a gadget that's supposed to stimulate the nervous system and promote blood circulation; it might also, according to one peer-reviewed study in the Journal of Strength and Conditioning Research, increase jump height. That sounded appealing enough on its own, given my rankling childhood indignation at never being able to hit the top of a doorframe as I entered a room. "I'd keep your knees bent," Rondeau said as I stepped on. "If you straighten your legs, you might get a weird feeling in your head." Of course, I had to straighten my legs to see what this weird feeling was all about; it momentarily turned me into a human Sonicare toothbrush. But when I bent my knees as instructed, I experienced a sensation not unlike a million microscopic elves performing shiatsu on each of my muscle fibers. Next, I got on the bicycle for oxygen interval training, a cardio session in which you alternate between sprints at lower-than-normal oxygen levels and recovery at higher-than-normal ones. According to Dr. Andrea Fossati, who teaches in the University of Vermont Medical Center's Integrative Health program, the intervals of decreased oxygen could exacerbate the effects of existing heart or brain conditions, and people with certain blood disorders should probably avoid this type of training. But if you're healthy, it's generally safe — "similar to hiking or skiing in the Colorado Rockies, perhaps taking some time to acclimate," Fossati explained. Rondeau fastened the Velcro straps of the oxygen mask around my head and clipped a blood oxygen and heart-rate monitor to each of my index fingers. "If you get light-headed or anything, just tell me," she said. While I pedaled, she kept an eye on the monitors to make sure I didn't dip into passing-out territory — which, she reassured me, has never happened on her watch. 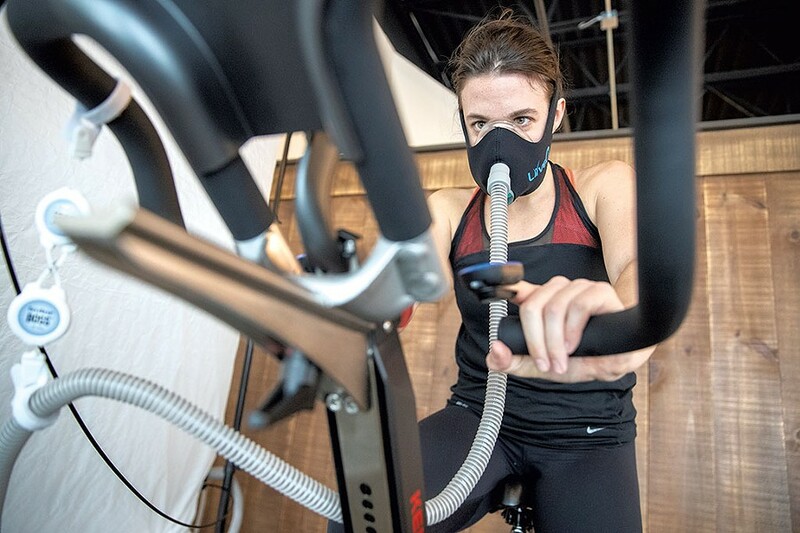 For 15 minutes, I alternated between 40-second sprints while breathing 15 percent oxygen, simulating a high-altitude experience (normal air contains about 21 percent oxygen), and two-minute rests on 85 percent oxygen. Other than some mask-induced claustrophobia, I didn't notice a huge difference between the session and a moderately challenging spin class. Slightly winded, I moved on to the adaptive-resistance training machines, also known as ARX. When you sit in one of these things, which cost approximately as much as a Tesla, it scans your body to gauge your range of motion and your maximum output. A screen displays a graph tracking how much force you exert in each of your reps, then saves your data. The ARX machine knows when you're holding back. It might know your deepest fears. Tanna Kelton, a Charlotte resident in her fifties, is an ARX devotee. Since she joined Future Fit last May, she said, she's noticed a huge increase in her strength and stamina. That came in handy recently, when her sister broke her ankle and Kelton had to lift her into the car. "I've belonged to gyms, I've had personal trainers, but I've never experienced progress like I have with the ARX," she said. "My body has completely changed. I feel like I've wasted so much time on workouts that didn't make a difference. Once a week at Future Fit is really all I need." When Rondeau told me that one 20-minute session on the ARX provides an entire week's worth of strength training, I was deeply skeptical. As a long-distance runner who isn't particularly fast, I believe the road to well-being is paved with hours and hours of suffering, which makes me really fun at parties. First, the leg press. Rondeau instructed me to push against the plate with both feet as hard as I could. "When it starts coming back toward you, keep pushing as hard as you can. You're gonna do this eight times. OK?" It was painful, but I survived. Somehow I managed to get through the next four exercises — eight reps each of chest press, seated row, lat pull-down and, finally, shoulder press, which destroyed me. With free weights, there's a small reprieve between action and release; on the ARX machine, you're constantly applying force. In the seated row, for instance, you don't get to relax your muscles when you retract the handle; you have to keep pulling it toward you, like you're trying to rescue someone dangling from an airplane. It feels just as hopeless as it sounds. Afterward, I could barely lift a cup of water to my lips. But I didn't care that I was in agony, because I knew I was headed for 45 minutes of straight relaxation in an infrared box heated to a balmy 131 degrees Fahrenheit. 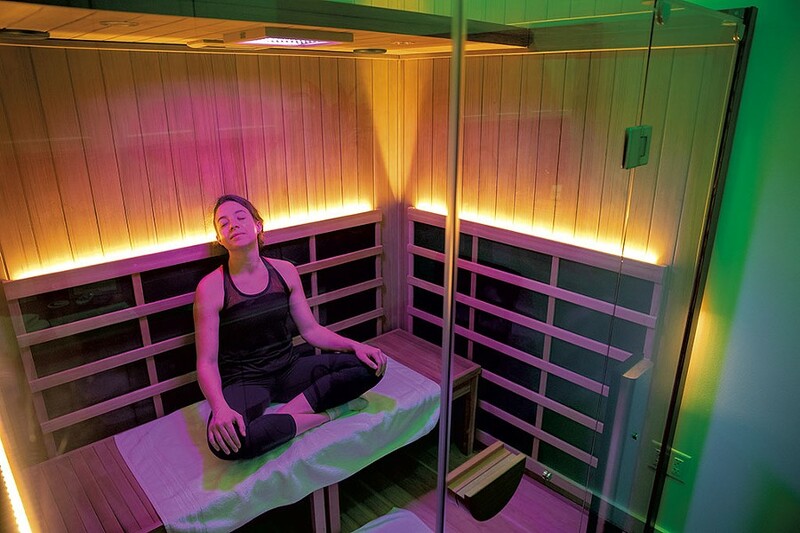 According to Clearlight, the manufacturer of Future Fit's model, infrared light makes people sweat at lower temperatures than standard convection-heated saunas. The heat is supposed to penetrate up to three inches into your body and extract toxins from fat cells. Based on the various accounts of infrared sauna usage I had found online, I expected to emerge looking like a luminous, pampered beet. Before I stepped into the sauna, Rondeau offered some advice: "It usually takes two or three sessions to get to the point where you're sweating efficiently." There are many things I do not do efficiently, but I never thought sweating might be among them. I asked for clarification. 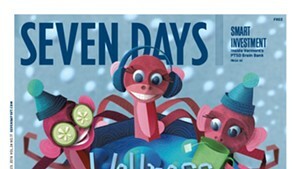 "Like, to get to the point where you're actively, productively detoxing," Rondeau said. Like nearly everything else in the world, even sweating can now be optimized. Thirty minutes in, I wasn't just sweating efficiently; I was sweating with gusto and nuance. I was sweating from places I didn't know could produce sweat: the insides of my ears, between my fingers, other places best left unmentioned. This, I thought, must be what it feels like to be cooked sous vide. To pass the time — 45 minutes is a very long while to spend contemplating your own juices — I fiddled with the remote that controlled the color of the lights inside the sauna. Cycling through the warmer end of the spectrum, I wondered which color would be closest to the shade of my pee when all this was over. I settled on red and pretended I was in a David Lynch movie. Then I took some selfies. I sent a few emails. When my iPhone screen became a small reservoir, I stored it in a nifty compartment in the sauna wall that protects electronics from the heat. (There's also an aux cord in there, so if you can't deal with sitting in silence, you're in luck.) I thought about mango juice. I drew faces in the sweat pooling in my elbows. By the time it occurred to me that I should have used this time for meditation, or intention setting, or whatever one is supposed to do while purging toxins, the session was over. I'll omit the embarrassing details of my three-and-a-half-step hobble from the sauna to the shower stall, but I will confess that my arms were so weak I had to prop my elbows on the wall to shampoo my hair. I was still sweating as I walked outside into the freezing air, feeling as though I had just survived a mauling by a wild animal. The rest of the day passed in a fluid-replenishment frenzy. While everything below my neck screamed at me, I have to say that my skin looked hella good. Like, what-are-pores good. My face was like, "Hey, deltoids, so sorry to hear that you were involved in a fatal accident this morning. LMK if I can get you a turmeric latte!" Things got more interesting the next day, when I woke up feeling maximally, existentially fatigued, as though I had just forced my body to do something unconscionable. I'm pretty sure this is the kind of muscle soreness people experience after escaping from prison — scrambling up a wall, wriggling through a sewer system, that kind of workout. But I'd promised myself I'd go for a run that day, so I sucked it up and got on the treadmill. It was so boring, and so inefficient, and it offered zero insight into my shortcomings and suggested no hot tips for improvement. In fact, that total indifference felt oddly like unconditional love, or at least the closest thing to unconditional love I'd ever experienced on a machine. The original print version of this article was headlined "Muscle Testing"